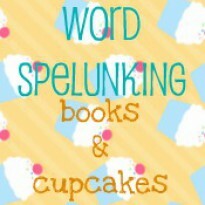 THREE WORDS: Not For MeMY REVIEW: I'm a huge fan of middle-grade books, but, when it comes to MG, books are usually either a direct hit or miss for me. 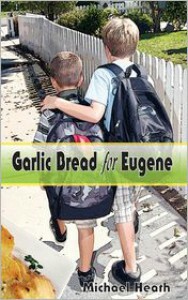 Unfortunately, Michael Heath's Garlic Bread for Eugene was a miss for me.In this short read, the main character, 6th grader Henry, must go on an early morning trek through his town to gather ingredients to make his late father's garlic bread. At school, the fourth graders always have an end of year picnic where each student brings in a special dish and Eugene, Henry's little brother, wants to bring in the garlic bread their father made before he died. When Uncle Billy, who is suppose to help make the bread, doesn't show up and the boys' mother has already left for work, it is up to Henry to make sure his brother has the bread for the picnic. But helping Eugene means being late for school and missing out on the Perfect Attendance Award that Henry has worked so hard to achieve.Garlic Bread for Eugene is a short, quick read at just 112 pages, but it failed to captivate me. I can fully appreciate what the author has tried to convey and do with this book, but, as a whole, this just wasn't my kind of read.When it comes to middle-grade and children's books, whether they be contemporaries, fantasies, sci-fi's, etc, they must contain the right amount of excitement, adventure, humor, and heart to win me over. Garlic Bread for Eugene has a lot of heart, but very little of the other things. A book with a message is not a bad thing and the message in this book is a heartfelt and heartwarming one, yet it seems like the rest of the book (characters, the storyline, storytelling, etc) takes a backseat to the message.The writing is decent, but lacks that special spark that I crave, and have come to expect, in MG/Kids Lit. Even though the book is a quick read, I found my interest quickly wavering because of this lack of entertaining and exciting storytelling. I also found myself being pulled out of the story by the often awkward word choices (i.e. fetching, devil-may-care attitude) and subject material for a kid's book. It feels like the author has tried to squeeze too much heavy stuff and adult characters (a less than lovable uncle who has just returned from Iraq, a bachelor janitor with health problems who still lives with his mom, a semi-bitter divorcee neighbor lady, a spiteful school secretary with authority issues, a jerk cop) into a story that really doesn't need them.I found myself often distracted from the main story by the questions the contrived plot produced- Why couldn't the boys' mother come home and help with the bread? Why wasn't the bread made the night before? Why wouldn't the cop call Henry's school or mom to confirm his identity? Why wouldn't Eugene's teacher call his mom as soon as she realized he brought no picnic dish? - and so on. Younger readers are smart and sharp and observant and I can see many of them asking the same questions.I also wasn't expecting the religious undertones found throughout the book. They certainly aren't in-your-face or preachy by any means, but they could possibly distract or isolate certain readers. As someone who stays clear of religious books of all kinds, I would have appreciated some indication that this book deals with such things.I mentioned above that I'm not particularly fond of most of the adult characters, but the two brothers, Henry and Eugene, are definitely likable characters. I really did like Henry and his selflessness, honesty, and love for his brother. The brotherly relationship between the two is sweet and inspiring.MY FINAL THOUGHTS: I can see older, adult readers enjoying this book and its heartfelt message more than its younger intended audience, simply because of its lack of excitement, adventure, and humor. This isn't a bad book, but Garlic Bread for Eugene just wasn't for me (although it had me craving garlic bread something fierce! ).